Clean, Restore, Shine and Protect your floors with Laminate Restoration UK and the unique laminate floor repair system. 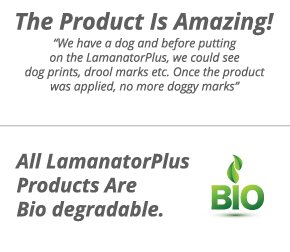 The LamanatorPlus process consists of two simple steps. Step 1 – Fresh Start deep cleans your floor to remove ingrained dirt and grime, grease and wax, paint and previously applied products, preparing your floor for the Restoration process. 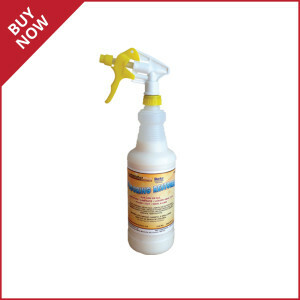 Step 2 – The Restorer re-coats your floor with a clear acrylic finish which adheres to the floor and restores the shine. After applying the Restorer, if an area of the floor starts to wear faster than the rest of the floor, ie the entrance to a room that gets heavy traffic or if you just want to touch up an area, you can simply mop on the Restorer in that area and it will blend in fine with the rest of the floor. The Restorer can also be used without the Fresh Start on brand new floors to help protect them. Is your laminate floor chipped? If your floor has a chip or gouge in it can be easily repaired. Use a wood filler that matches the colour of your floor. Smooth it into the gouge and let it dry before you go on to step 2. The restorer will seal it in. Our toughest repair to date was a spillage of bitumen onto a laminate floor. The bitumen was removed by wrapping the scrubbing pad around a sanding block and applying pressure to the damaged area. Wood filler was applied to the chipped areas and the floor was as good as new when the restoration process was complete. The first step in restoring your laminate or hardwood floor to its former glory. The Restorer is the second stage of the process. Apply the restorer to help seal joints, protect the original surface, hide minor scratches, remove scuffs and give your floor a brand new look. 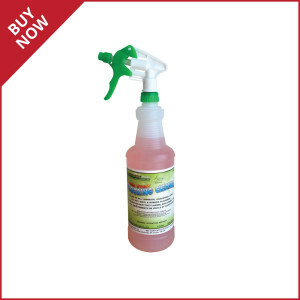 designed for regular day to day cleaning to enhance the colour and shine of your laminate or hardwood floor. 2x micro fibre mop covers, 1x mild scrubbing pad 1x mop head attachment (which will fit most broom handles).